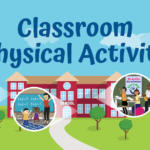 This online platform provides a comprehensive look at the strategies identified in Strategies for Classroom Physical Activity in Schools. 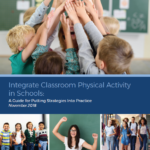 It includes key questions and activities, templates and tools, stories from the field that show how the strategies are being used in different states, and resources aligned with each of the recommended strategies. 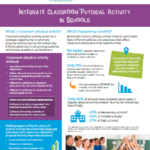 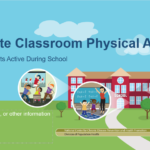 This PowerPoint presentation explains the benefit and importance of classroom physical activity and describes CDC and Springboard to Active Schools resources for classroom physical activity in schools. 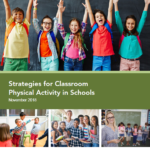 This document describes 10 evidence-based strategies for promoting and planning for classroom physical activity.